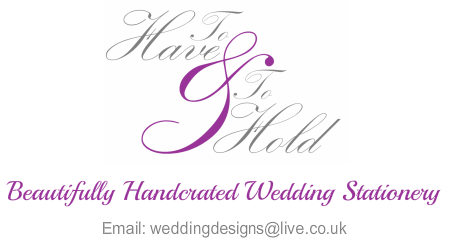 To Have and To Hold Wedding Stationery is based in Newport, South Wales, but we ship nationwide. Please feel free to contact us for more information, samples, colour options, quotes, or to use our free bespoke service. We will be happy to help!